Vaccines give parents the power to protect their children from serious diseases. One of the most important things a parent can do to protect their child’s health is getting their child vaccinated according to the recommended immunization schedule. To celebrate the importance of immunizations for a healthy start and throughout our lives – and to make sure children are protected with all the vaccines they need – North Hills Family Medicine is joining with partners nationwide in recognizing August as National Immunization Awareness Month. 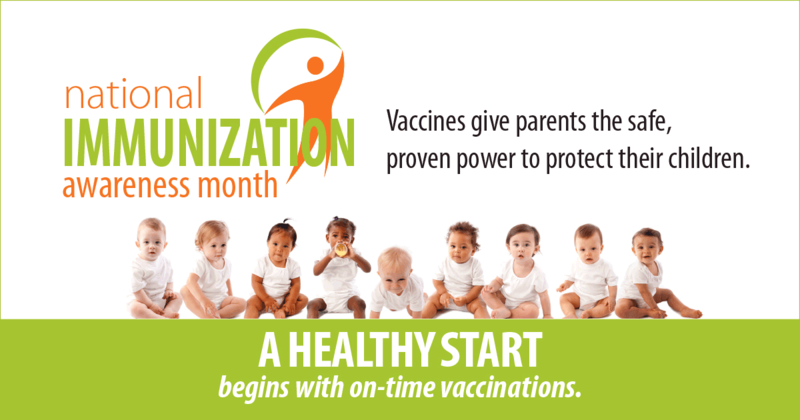 The first week of the month will focus on babies and young children and emphasize a healthy start for little ones begins with on-time vaccinations. Unvaccinated children are not only at increased risk for disease, but they can also spread disease to others in their play groups, child care centers, classroom, and communities – including babies who are too young to be fully vaccinated and people who might not be able to receive certain vaccines due to cancer or other health conditions.